Ocean Wise™ is a highly acclaimed fish conservation program spearheaded by the Vancouver Aquarium. This program endorses fish selections as being ecologically sustainable and ocean-friendly. It is predicted by the year 2100, a number of populations of salmon will be extinct or close to extinct if the oceans are continually fished at the rate they currently are. Therefore, in our effort to reduce Cactus Club’s environmental footprint we have sourced premium Ocean Wise™ selections to ensure our guests can enjoy fresh environmentally friendly seafood year round. We feel this is a definite step in the right direction to help sustain our world’s fish populations. 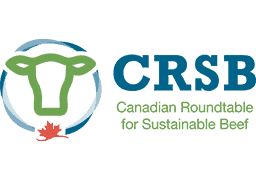 The Canadian Roundtable for Sustainable Beef (CRSB) is a multi-stakeholder community devoted to advancing sustainability in the Canadian beef industry. It is comprised of multiple organizations, including farmer/rancher associations, academic institutions, food and agriculture businesses, animal care and environmental organizations, foodservice companies, government and individual observers. Our menu has featured Certified Angus Beef® from Canadian farmers for many years and we joined the CRSB to support our commitment to environmental, social and economic sustainability in the Canadian beef industry. The Green Table Network is a conservation initiative that is based on a set of operating standards and targets that define a “green restaurant.” These guidelines cover five basic areas such as solid waste, water conservation, energy conservation, pollution prevention and purchasing. February 1st , 2008 marked the momentous occasion whereby the Park Royal Cactus Club Cafe became the first certified “green casual fine dining restaurant” in BC. As one of the 12 founding members, we are very proud to be the only multi-unit certified “green restaurant concept” in BC where we are actively reducing our environmental footprint. By purchasing produce from local suppliers, implementing recycling & composting programs and performing simple energy conservation practices, we are committed to making a positive impact in the communities in which we operate.